Last year I attempted to blog about my class and a newborn thwarted those attempts. He is adorable and it was totally worth the failed endeavor. However, I am attempting it again! To help, I tweet once a day from my AP World class to capture the essence of the class and a few pictures to visually record the day. Then once a week, I will add more context through the blog. You can follow me on twitter with the hashtag #1YearAP. Furthermore, Linda Ashida is coming into my classroom at least once a week to visit, observe, and help in the reflection process. She visited my class on the first day of school we sat down to reflect on the week. For the students, school started on a Wednesday this year. I make the attempt to learn all of my students name on the first day. I am terrible at pronouncing student's name and a few years ago I starting purposefully saying all the names wrong like Key and Peele's substitute teacher. It really helps me remember all the names and helps build relationships with the kids. They keep whispering to each other if I am doing it on purpose. I am pretty good and being dead pan, which goes a long way with keeping up the performance. Once I go through the names, I want the students to start interpreting history themselves. 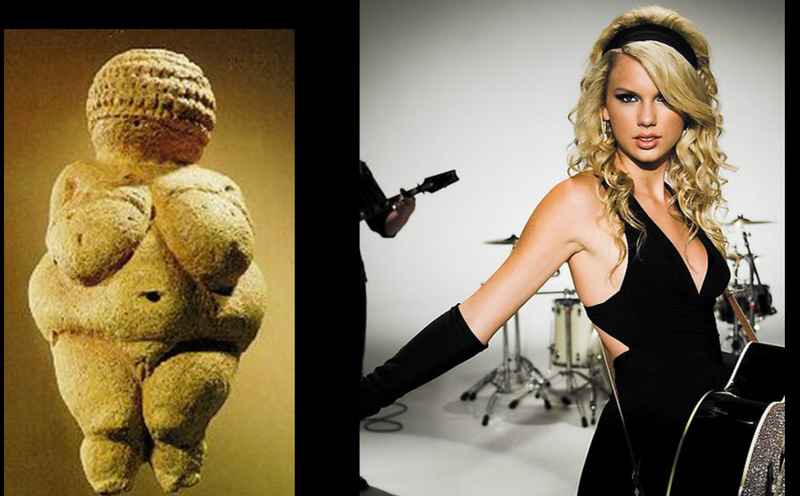 I use images of the Venus statue and Taylor Swift. I have the students come up comparisons of the two and then we start to guess what life was like when the Venus was created. Day two started with a 32 word summary of a short reading on the Paleolithic Era. The students struggled with the word restriction which gets them to think about what words are the most important. 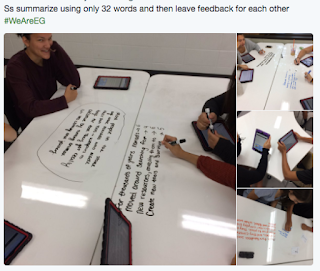 Then students moved to other groups and provided feedback on the evidence they used and word choice. The students read another quick excerpt, I hope you are seeing a pattern with the class. We read a lot in class. 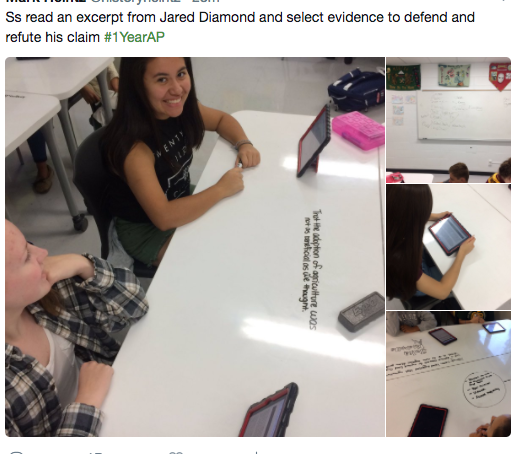 After reading they pulled out evidence to support a claim about how the Neolithic Era was a significant turning point in human history. For Friday, the students attempted to draw the world with the regions from memory. The students were in groups and were asked not to talk as they attempted to make their drawing. Then the students rotated to another group's table and gave feedback on the drawings. Then I stood in front of the classroom and had them guess about my life based on what I was wearing and physical appearance. We discussed how one item may not be enough to validate a claim. It was impressive what they came up with. I was wearing a cross-country shirt, have a farmer's tan, and am fairly thin. They figured with these three observations, they could safely assume I am a runner. Then they turned to a partner and did the same process to each other. Finally, they read (yes!) and excerpt from Jared Diamond and determined whether or not he validated his claim with enough evidence. There is the week in review! I hope to have you read next week.